"Drawing" by Carla Sonheim is a book I just recieved in the mail with 52 fun drawing exercises. 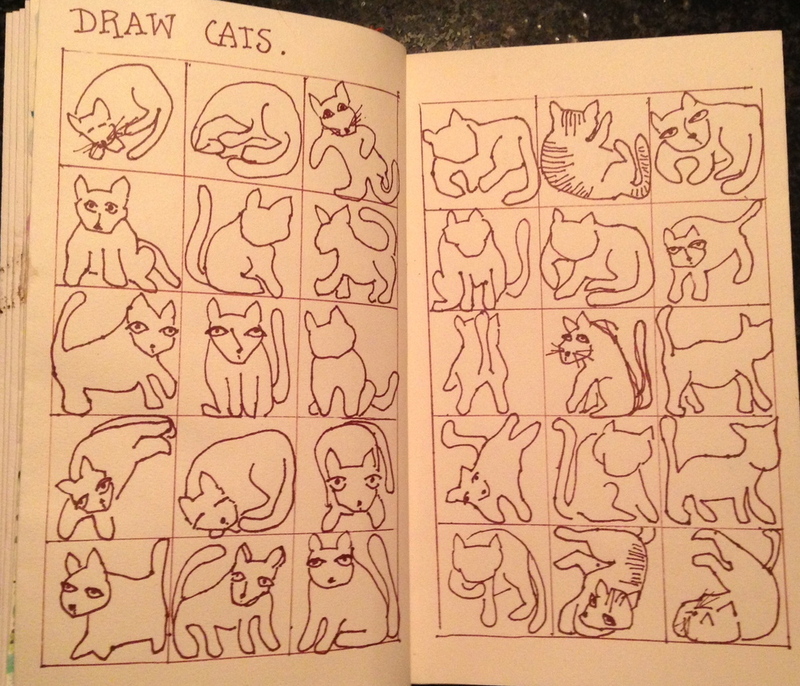 The first exercise is to draw at least 30 cats from your imagination in as many different poses as you can think of. These are the drawings I came up with. I'm going to spend some time looking at our real cats and try again. The next step is to pick one or two favorite drawings and render them again in different ways.